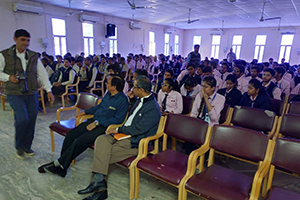 The Department of Mechanical Engineering, RIET, Jaipur organized an expert talk on Manufacturing Process specialized in “Foundry Technology” Delivered by Dr. Ajit Joshi and was attended by all the staff members and students of Mechanical Engineering Department and Civil Engineering Department. The seminar started at 11:15 am in Chotu Ram Seminar hall with the welcoming of the chief guest Dr. Ajit Joshi by Professor D D Johri. 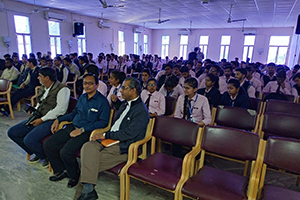 During the session Dr. Ajit Joshi motivated and inspired the students towards the role and importance of engineers to society, personal, social, technical, emotional development of students and how to tackle the difficulties of life. 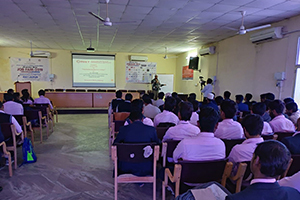 The session was all about the recent advancement in Foundry technology to make the students familiar with the recent and upcoming technical areas and scope of job, research opportunities in the field of Manufacturing Process. He also elaborates several foundry networks that are providing wide scope of engineering and construction integration. He describe the innovative idea to manufacture high quality castings which is economically and to act as specialized engineering equipment provider and build long term relationships customer . He stressed over promoting the outcome based education in an institute by the faculties and management so that an overall development of a student can take place and student can become competitive and successful as per the requirement of changing market. The students got motivated by his speech and asked many questions. 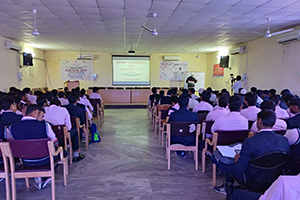 The session was very interesting and students also queried their pros and cons regarding the advancement in Manufacturing Process like advanced Foundry technology. The seminar ended with vote of thanks by professor D D Johri.